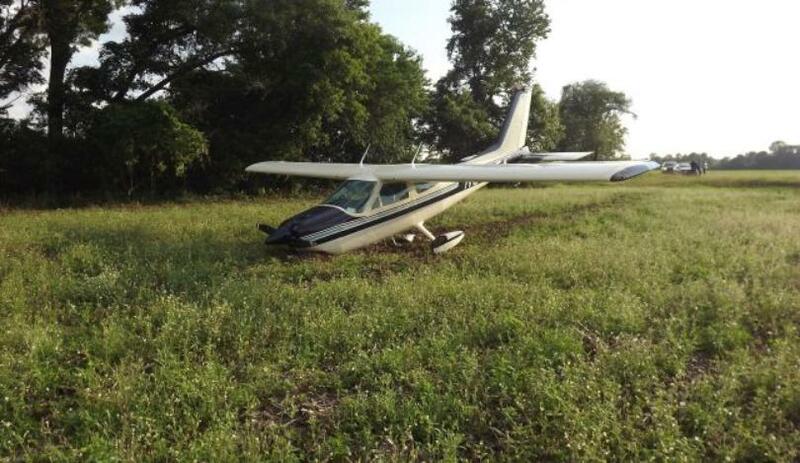 SAXEVILLE - No one was injured when an airplane carrying two people was forced to make an emergency landing in a farm field Sunday night in the town of Saxeville. The plane, which was on its way to the EAA convention on Oshkosh, was forced to land just before 6:30 p.m. Sunday night off of 28th Road, according to a press release from the Waushara County Sheriff's Department. The pilot of the plane called 911 to report that the aircraft was having mechanical issues and would have to make an emergency landing. With the help of GPS tracking, the pilot was able to land the plane safely and first responders arrived shortly after, the release said. The plane's occupants were from Florida and were headed to the airport in Waupaca ahead of the Experimental Aircraft Association's AirVenture show in Oshkosh. According to the release, damage was limited to the plane's landing gear and propeller.